Mike Martinez Owner/Founder, dystrick design, Inc. Located in the San Francisco Bay Area, BetterSource helps companies across northern California create beautiful and functional office spaces. From office planning and designing to outfitting and installing, BetterSource has become the most trusted name in business. We offer a huge selection of new & used office furniture for any style or budget, and with locations in San Mateo, Hayward and Campbell, we help businesses from San Jose to San Francisco, and every stop in between. Contact us now to see how we can help bring your workspace to life. BetterSource searches the market for deals on furniture that meets the needs of our customers. The main part of our business is bringing in liquidation items from offices that have either downsized or closed. Since we know we can’t fill all of our customers’ needs with used furniture, we have gone searching for the best deals on some new, quality items. These few items are sold at prices far below what you will pay at other office furniture stores. 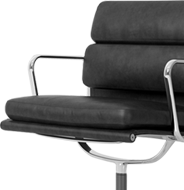 We have selected a few designer chairs, leather sofas, reception area, boardroom tables, and office desks. Our Showroom is constantly changing with products arriving weekly. Our warehouse is stocked with used cubicles, workstations and office products that can fill an entire office space whether large or small. We are maintaining a stock of over 500 cubicles available in our Hayward Warehouse. Come in and check often or let us know what you need and we will try to find the products for you. 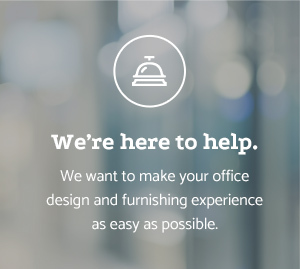 Whether you need to furnish a home office or a whole office building, we will do our best to fulfill your order. You won’t find better prices anywhere else and we even offer price comparisons for you. If your company is downsizing or reorganizing, we can help. Our services include asset management, appraisal and liquidation services to help recover cash from excess inventory or company assets. We have customers around the world looking for industrial and commercial inventories of all types. Our services also include site liquidations, Internet sales, and auction sales to help dispose of assets. Are you ready to join one of Silicon Valley’s top workspace outfitters? You have come to the right place! With over 16 years of experience, BetterSource has been providing the Bay Area with top notch service and offerings to companies large and small. If you are looking for a career in sales, warehouse management or marketing, send us your resume and we will get back to you as soon as possible. Thank you! Located in the San Francisco Bay Area, BetterSource has helped companies across northern California create beautiful and functional office spaces. From office planning and designing to outfitting and installing, BetterSource has become the most trusted name in business. We offer a huge selection of new & used office furniture for any style or budget, and with locations in San Mateo, Hayward and Campbell, we help businesses from San Jose to San Francisco, and every stop in between. Contact us to see how we can help.